We are proud to announce that the winner of GT’s second Film Festival is Murray Johnstone, MD, a clinical professor in the Department of Ophthalmology at the University of Washington in Seattle. 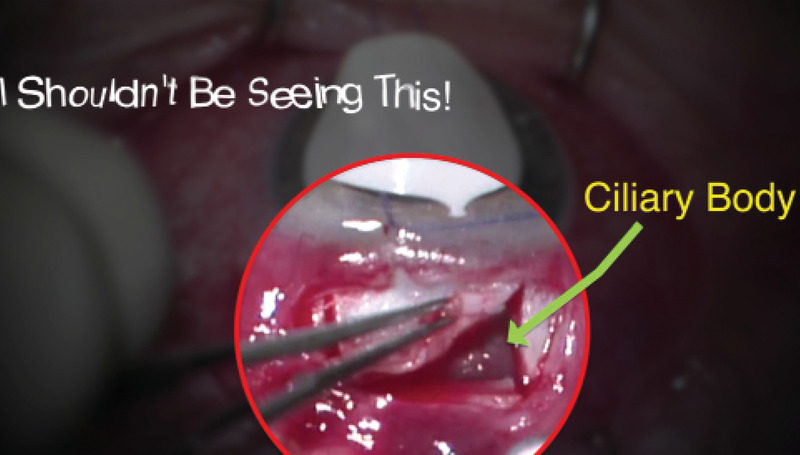 His video, “Collector Channels Open and Close: Important Considerations in MIGS Development,” demonstrates the active responses of the trabecular meshwork, Schlemm canal, and collector channels to fluid and pressure challenges as well as physiological stresses such as pulling forces from the ciliary body. Dr. Johnstone’s video shows in incredible detail the opening and closing of collector channels in human eye tissue segments in response to these forces. 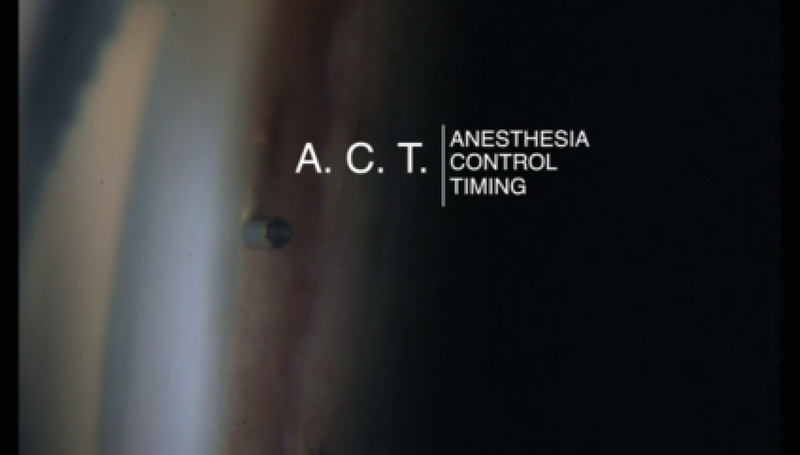 An image from Dr. Johnstone’s exceptional video appears on the front cover of this issue. More than 20 videos were submitted to the film festival. Runners-up demonstrate filtration surgery and microinvasive glaucoma surgery. This video demonstrates rapid pressure-dependent opening and closing of collector channels (CC). Microinvasive glaucoma surgery typically achieves pressures in the midteens, suggesting that there is resistance distal to Schlemm canal (SC). To explore the mystery of distal resistance, my colleagues and I have developed three new imaging technologies. Together, they provide a clear picture of the channels’ anatomy and functional behavior that may shed light on the enigma of distal resistance. 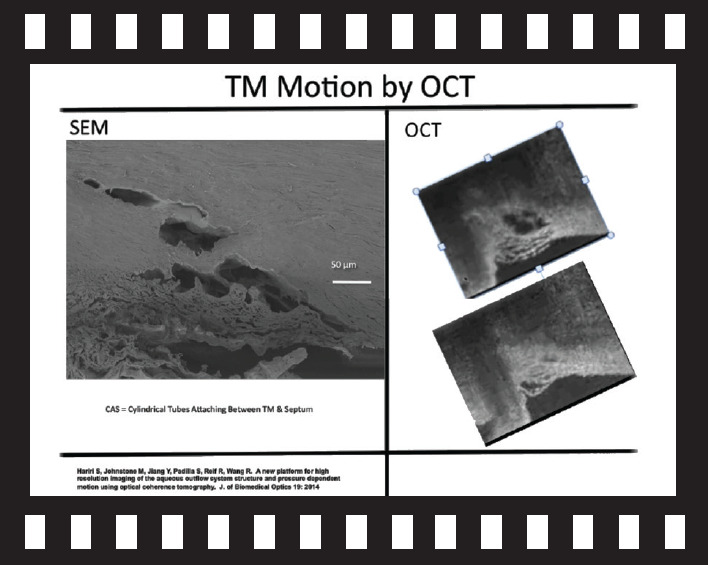 The three techniques are (1) SC dilation with viscoelastics prior to scanning electron microscopy, (2) video microscopy of limbal segments during exposure to known infusion pressures, and (3) optical coherence tomography (OCT) imaging of limbal segments from the surface of the trabecular meshwork (TM). SC is cannulated, and known pressure from reservoirs allows the canal and CC to dilate while changing pressure gradients during OCT imaging. We found that the CC regularly turn abruptly shortly after entering the sclera and develop long intrascleral channels parallel to SC. There are corresponding long, thin septa or leaflets separating SC and these parallel intrascleral channels; these long, thin septa are hinged only at their ends. The anatomic arrangement allows the hinged septa or leaflets at CC and the intrascleral channels to move freely. Imaging with OCT and microscopy demonstrates opening and closing of the CC that occurs in milliseconds in response to modest changes in pressure gradient.1 Highly elastic transcanalicular microtubules are attached between the TM and the hinged flaps or leaflets. The TM moves rapidly in response to small pressure gradient changes.2 Because of the attachments between the TM and the hinged flaps or leaflets, entrances to the CC and the system of parallel intrascleral channels open and close in synchrony with the motion of the TM. Changing dimensions of the CC can determine resistance to flow distal to SC, which suggests that the CC can also play a role in glaucomatous progression. 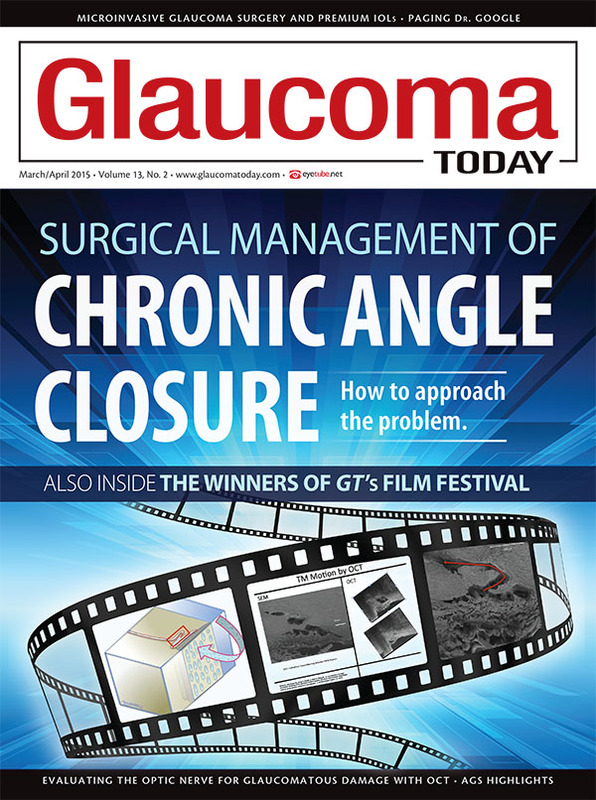 Surgeons who perform microinvasive glaucoma surgery and thus place the associated devices can benefit from an awareness of the channels’ anatomic organization as well as their associated ability to rapidly open and close with slight pressure changes. 1. Hariri S, Johnstone M, Jiang Y, et al. A new platform for high resolution imaging of the aqueous outflow system structure and pressure dependent motion using optical coherence tomography. J Biomed Opt. 2014;19(10):106013. 2. Li P, Shen T, Johnstone M, Wang R. Pulsatile motion of the trabecular meshwork in healthy human subjects quantified by phase-sensitive optical coherence tomography. Biomed Opt Express. 2013;4(10):2051-2065. Myopia is associated with scleral thinning. In this case involving a myope, despite the use of a guarded-depth blade, attempts to create a half-thickness scleral flap resulted in an inadvertent full sclerostomy revealing the ciliary body. This put the patient at risk of severe hypotony. Instead of abandoning the initial site of surgery, the ophthalmologists salvaged the filtration procedure by splitting the flap and suturing the bottom layer to cover the exposed ciliary body. The remainder of the surgery was then carried out in the usual fashion. Section Editor Soosan Jacob, MS, FRCS, DNB, is a senior consultant ophthalmologist at Dr. Agarwal’s Eye Hospital in Chennai, India. She acknowledged no financial interest in the products or companies mentioned herein. Dr. Jacob may be reached at dr_soosanj@hotmail.com. Section Editor Jonathan S. Myers, MD, is an associate attending surgeon on the Glaucoma Service at Wills Eye Hospital and director of the Glaucoma Fellowship. Dr. Myers may be reached at (215) 928-3197; myers@willsglaucoma.org.